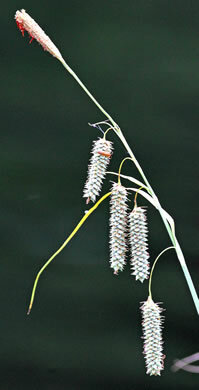 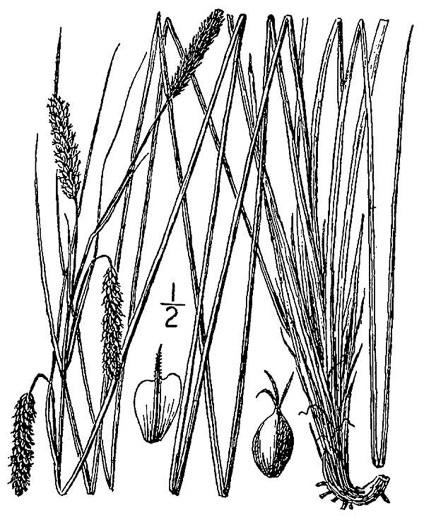 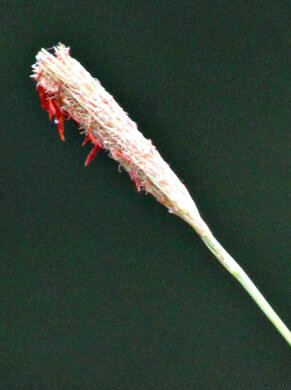 Get to know this sedge: it's common and it may be a gateway to other sedges, per Wildflowers of the Sandhills Region. 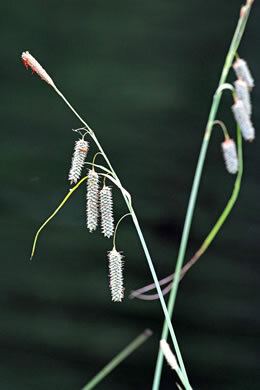 Stem terminated by a straw-colored male spike and 3-5 female spikes below, per Wildflowers of the Sandhills Region. 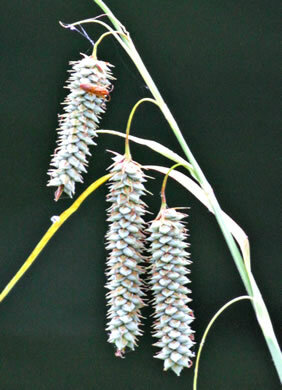 Male spike terminal, upright, 3-5.5cm long, green turning brown, per Forest Plants of the Southeast and Their Wildlife Uses.